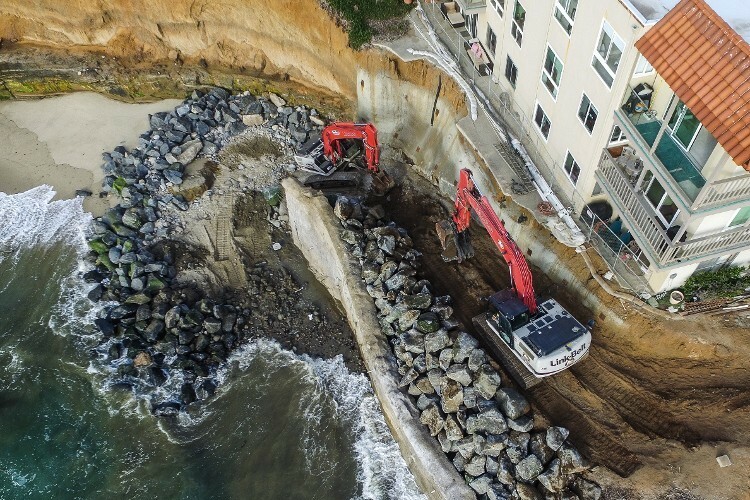 GeoSoils, Inc. personnel have extensive experience in analyzing shoreline erosion, bluff erosion, and the design, permitting, and construction of shore protection devices (cantilever and tie back walls). 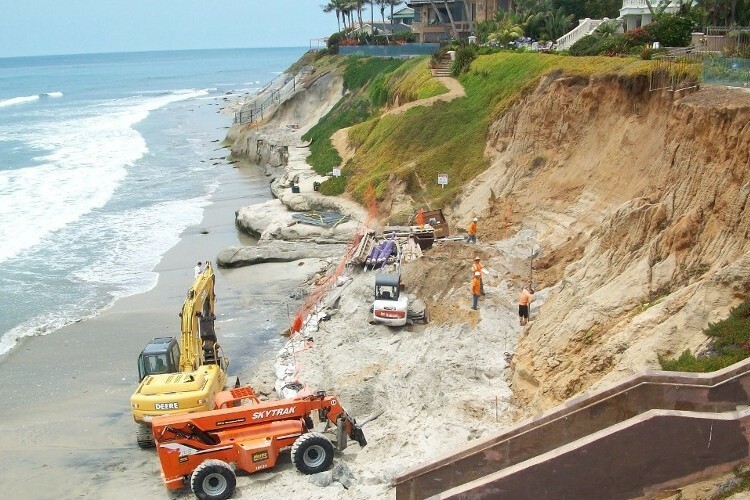 Projects include bluff erosion analysis in Encinitas and Solana Beach, levee engineering and design, shore protection/coastal boardwalk design in Pacifica and Honduras, and seawall projects throughout southern California and Mexico. 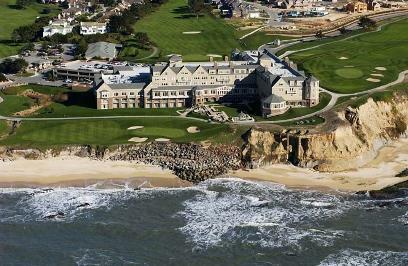 GeoSoils, Inc. also performs coastal hazard, wave uprush, wave force, and tsunami analysis for coastal development. Recent past projects include marina design, pier design, pile design for oceanfront homes, and ocean outfall and intake design. GeoSoils, Inc. provides coastal engineering services for all phases of development from initial project feasibility, to preliminary design and cost estimation, to final design, to construction observation, and finally to monitoring and maintenance. GeoSoils, Inc. also provides expert services and witness services for coastal processes litigation.